As a homeowner in Macomb County, you may already be satisfied with the public utility water source. And while public water may seem convenient, it doesn’t give you control over an essential resource you need for everyday activities. If the public utility ever has a problem, you can be left without a safe source of water for an unknown amount of time. What if you could have your own personal water source? One that’s clean, reliable, safe, and always available. With a water well right on your property, you definitely can. 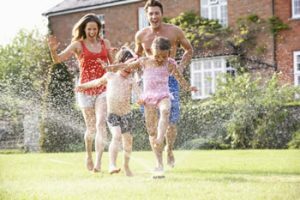 Here’s why more and more people are choosing to get their own wells. Water wells in Macomb County can load up your savings. The best part about having your own water source is that you won’t have to pay a monthly bill. You also won’t need to worry about additional costs like water delivery fees in case there’s a shortage. This is a one-time investment that can save you money long term. Water wells in Macomb County can keep you safe. Since almost everyone relies on a utility company for their water supply, we’re stuck with whatever process they use to treat the water. And we may not always agree with what they do. For example, they might use chemical processes to prepare the water for distribution. That means you’ll be consuming whatever it is they put in there. If that’s not something you want, then a water well that you control might be the answer. You’ll be able to have the water monitored and tested whenever you want. That way, you can make sure you’re only drinking water that you’re satisfied with. Water wells in Macomb County can help reduce stress. Because of the demands of daily living, people are caught up in busy schedules and tight budgets. Don’t let a basic necessity be a cause of more stress. With a personal water well, you can rest easy knowing that you’ll always have water ready when you need it. You won’t have to worry about cutting down on water use to reduce your utility bills when money’s tight. But you need to make sure it’s done right. If you think that a water well is just what you need, then it’s best to talk to the professionals. A water well drilling company will have a team of highly trained experts that can help you out. They will perform all the necessary preparations including the drilling, equipment installation, water testing, and maintenance work to make sure that you have a constant supply of safe and clean water. Do you want to know more about getting a personal water well? 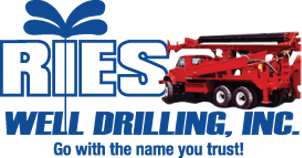 Then check out Ries Well Drilling. Since 1983, they’ve helped the residents of Macomb County with all their water well needs. From drilling to maintenance services and even convenient add-ons like a constant pressure system, their team of professionals is always ready to lend a hand. Give them call today for a free estimate.